The Band were an influential and highly acclaimed rock band formed in the 1960s. In 1976 The Band retired from touring, but not before giving a magnificent farewell concert on Thanksgiving Day at Bill Graham's Winterland Ballroom in San Francisco. Joining them on stage was an all-star cast of musical guests - Ronnie Hawkins, Neil Young, Joni Mitchell, Neil Diamond, Dr John, Paul Butterfield, Muddy Waters, Eric Clapton, Bobby Charles, Van Morrison, Bob Dylan, Ronnie Wood and Ringo Starr. They were also augmented by a large horn section arranged by Allen Toussaint. The concert was filmed by Martin Scorsese, with plans to turn it into a feature-length film. Meanwhile, they had to fulfil their contract with Capitol Records, quickly putting together their last original studio album Islands in 1977. Scorsese's film was released in 1978 as The Last Waltz, and has been hailed as the greatest rock concert film of all time. It combined the concert footage with interviews, plus two new soundstage performances - one with guest Emmylou Harris, and the other a great new version of "The Weight" featuring The Staple Singers. 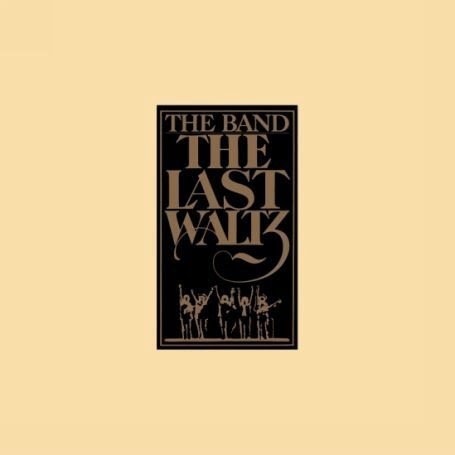 The soundtrack to the film was released as a triple LP set, which also featured a few new studio recordings which were combined with the soundstage recordings on the last side of the album as 'The Last Waltz Suite'. The result was a fantastic live album, vast and sprawling, with the high profile guests getting their own moments to shine (and many of them benefiting greatly from The Band's support), but none of them ever stealing the limelight from the true stars - The Band themselves. It was the perfect way to go out on a high, for The Band were indeed saying goodbye. Though a new incarnation of the group (minus Robbie Robertson) would reunite and resume touring in the 80s, The Last Waltz marked the end of the road for the original and best-loved incarnation of the The Band, ten years after their remarkable debut album and subsequent success.